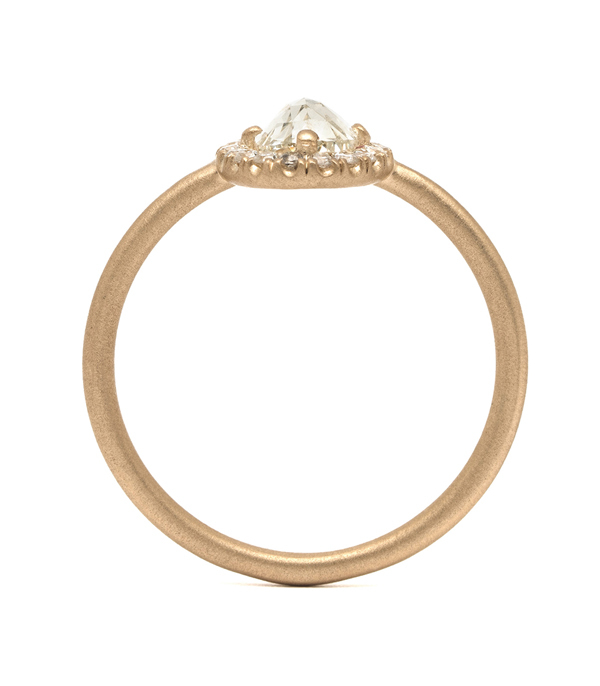 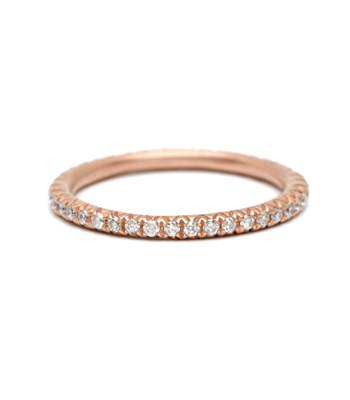 One of our most popular halo-style engagement rings, the Bellini ring is perfect for the bride who wants a twist on tradition - classic with an edgy touch! 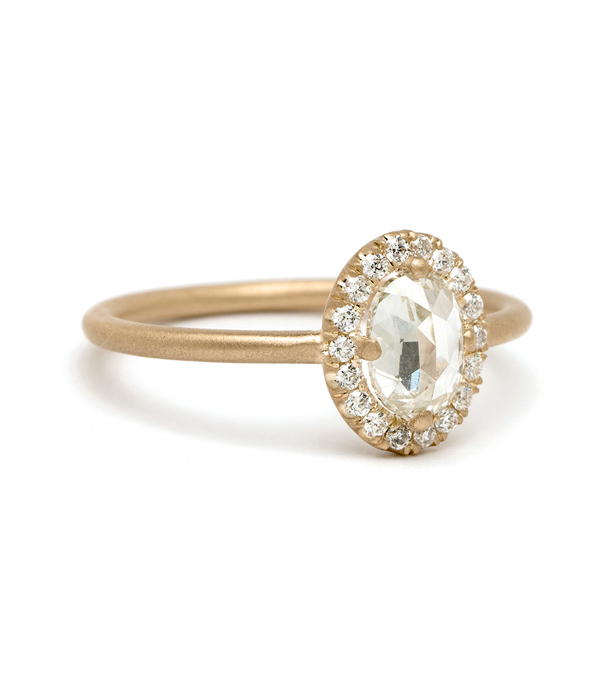 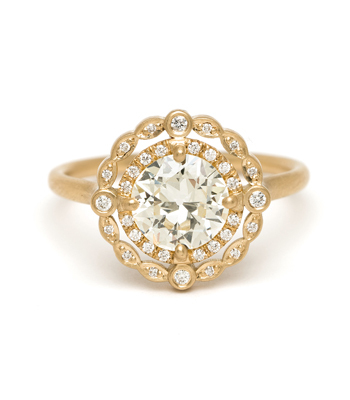 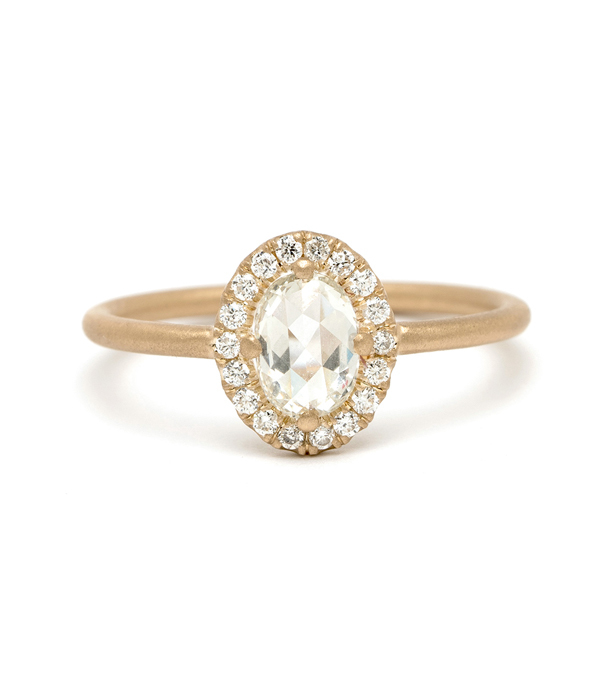 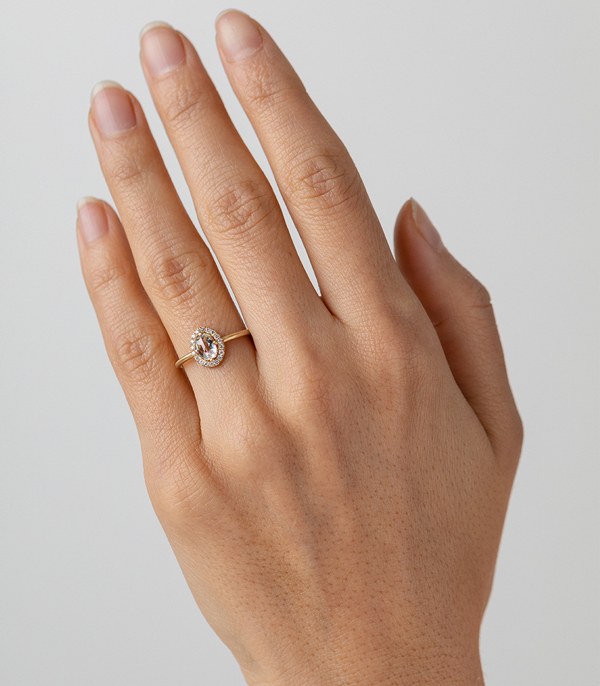 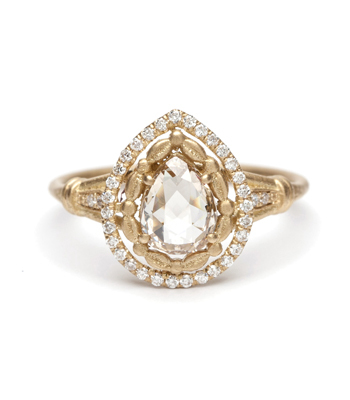 A watery, oval shaped Rose Cut diamond (0.60ct) is surrounded with a glittering halo of Round Brilliant diamonds, creating a timeless, vintage-inspired sparkle that sits low to the finger. 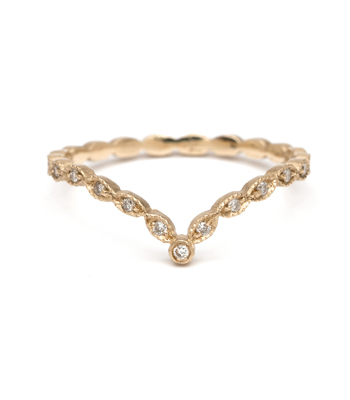 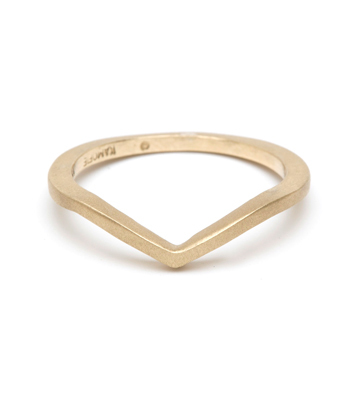 We call it "The Bellini Ring" not only because it simply calls for a toast, but it is the jewelry equivalent of sparkling, bubbly deliciousness! 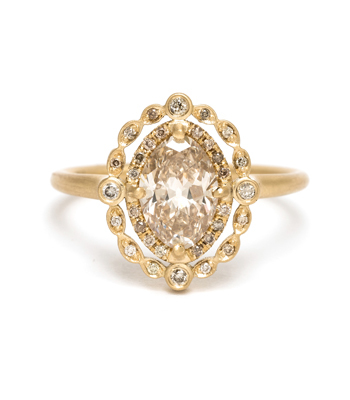 Categories: Bellini, New Arrivals, One of a Kind Bridal, Rocking Tradition, Rose Cut Diamond Rings.